A work of subtle patinas from dark to bronze to shiny silver. The copper disks accented with a bronze faceted Czech glass bead. 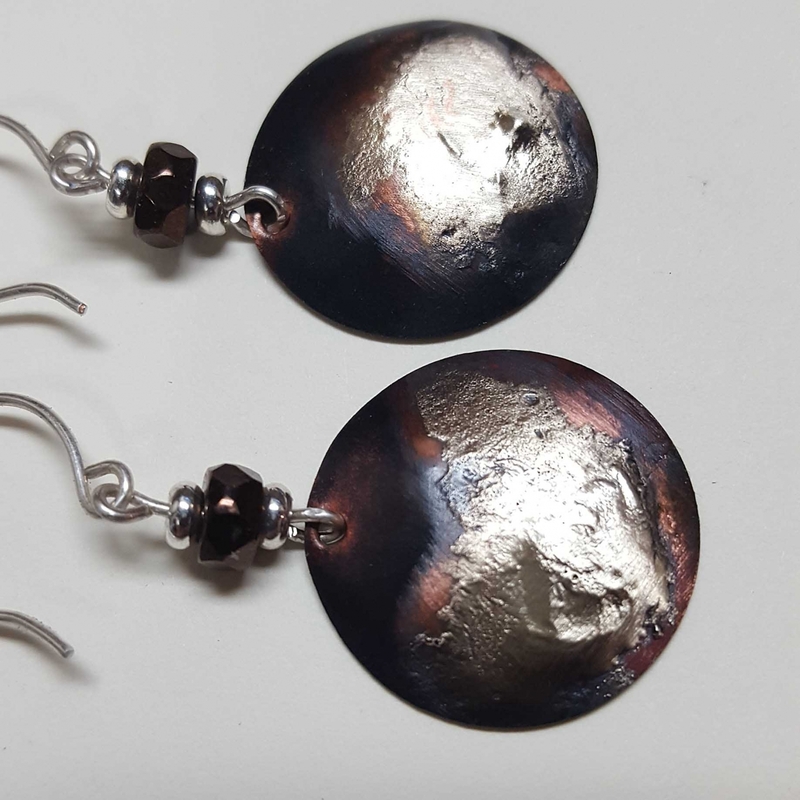 These dangle earrings are a handcrafted and hang from sterling silver earwires. These will go from the office to dinner and look great with a paif of jeans, too! They will come in a gift box--ready to give as a gift or keep for yourself and use for storage! While these are coated, I do recommend these be stored in the box to help protect the patina.